Four Chicagoland fighters competed in WEC 42, and all four suffered defeat. A potentially exciting night for fans of the Chicagoland MMA scene instead becomes one of disappointment. The outcomes of the Sunday night fights leave us with many questions to ask. The main event featured East Chicago, Indiana native Miguel Torres defending his bantamweight championship against challenger Brian Bowles. Torres is widely considered one of the top pound for pound fighters in the world, and several of his matches in the WEC cage have been some of the most impressive performances in the promotion’s history. Despite the hype Torres proved to be human after suffering a shocking knock out victory to the underdog Bowles. Ricardo Lamas, who fights out of Top Notch Gym and Overtime MMA/Jeff Neal Jiu Jitsu, also came out on the losing end of his bout. “The Bully” showed good punch/kick combinations and seemed to be getting the better of the exchanges with his opponent, Danny Castillo. But in the second round Castillo landed a right hand that dazed Lamas and he was able to follow up for the TKO finish. This is Lamas’ first loss in his professional career. Jeff Curran stepped in against Takeya Mizugaki feeling the pressure to get the win. The “Big Frog” was on a three-fight slide and needed to get back on the winning track to stay relevant in the crowded 135 pound division. Curran spent a majority of fight with Mizugaki in his guard actively working submission and sweep attempts off his back. He was able to catch his Japanese opponent in a triangle choke at the end of the third round but could not force the tap out. The contest was close, but Mizugaki’s submission defense and ability to stay busy from the top position helped him earn a split decision victory over the Island Lake native. 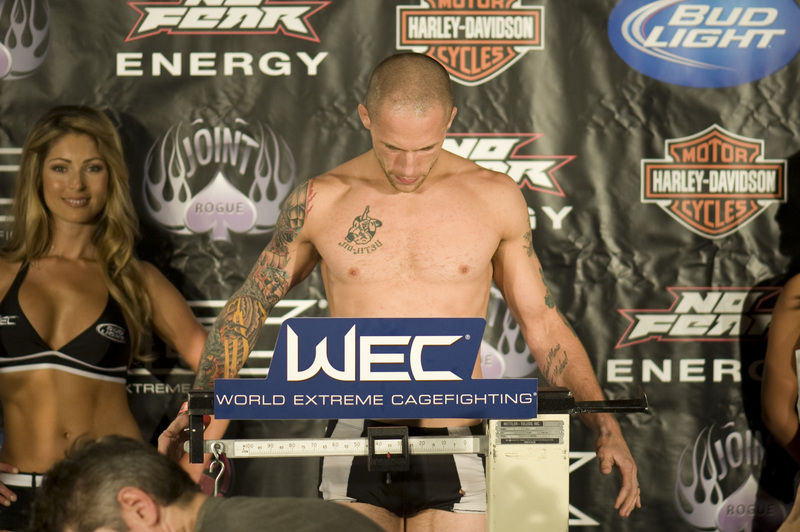 In the untelevised portion of the card Evanston native John Hosman made his WEC debut against no-gi submission wrestling champion Rani Yahya. Hosman took the fight on short notice after the original opponent, Kenji Osawa, had to bow out after suffering a foot injury. Hosman’s teammate at the Midwest Training Center in Schaumburg is former WEC bantamweight champion Chase Beebe. Yahya unsuccessfully challenged Beebe for the belt in a match where Beebe combined outstanding defense and scrambling ability with a ground and pound attack for the decision victory. The Downers Grove native helped Hosman train for this fight, but “The Goat” could not duplicate the same results. Yahya secured a north-south choke and tapped Hosman in the first round. Several questions now hang over the heads of the disappointed fighters. Does Torres get an immediate rematch with Bowles, or was the loss so convincing he has to fight his way back into contention? Despite a four fight losing streak does Curran deserve to stay in the WEC considering the high quality of opponents he has faced during that stretch? Because the WEC always has the option of cutting someone from the fight roster is Lamas in danger of being dropped despite the fact he was winning the fight against Castillo before being knocked out? 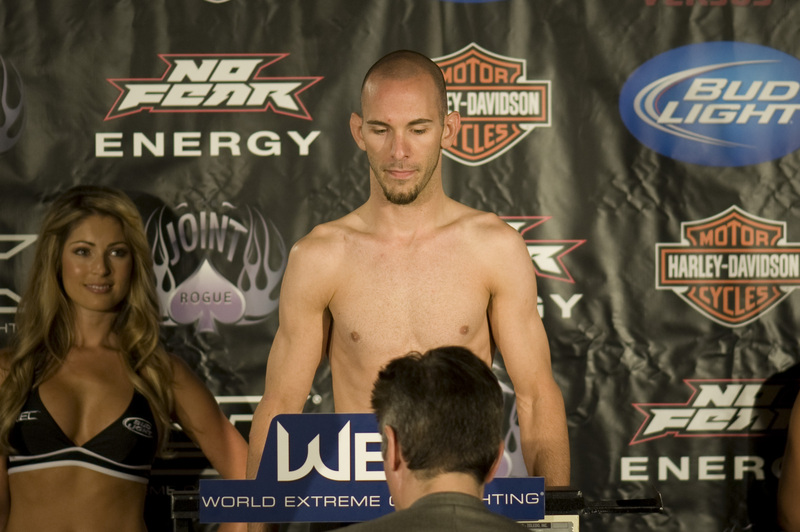 Will Hosman be invited back to compete in World Extreme Cagefighting?